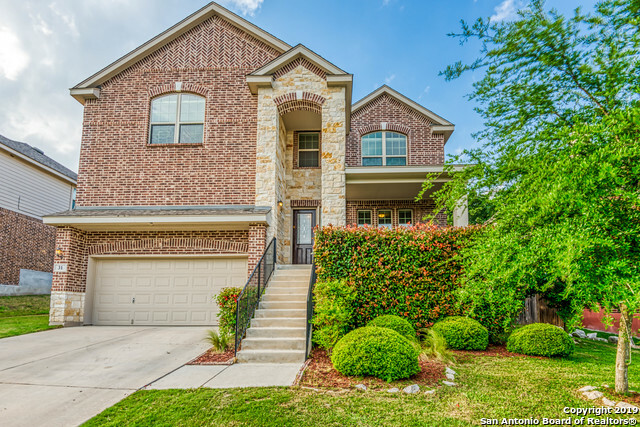 All CANYONS AT STONE OAK homes currently listed for sale in San Antonio as of 04/20/2019 are shown below. You can change the search criteria at any time by pressing the 'Change Search' button below. 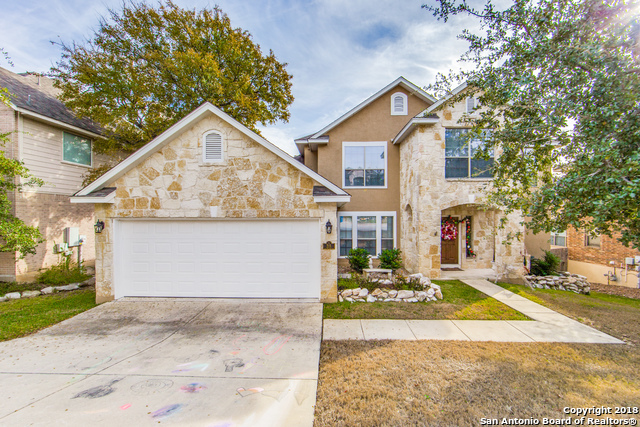 "Rare find that has so much!Tucked into desirable & gated CANYONS@STONE OAK*Extra large rooms,abundant storage,beautiful landscaping& great floorplan*Master& guest suite(w/full bathrms)& office down*UP-party sized game rm,3 addtl bedrms w/bathrms,& another office rm too.Impecably maintained for easy living & both decks allow for quality outside fun too.Kitchen is a gourmet cook's delight w/butlers pantry*Fridge,washer,dryer &all 7 TV &mounts convey,but Views of greenbelt & cityscape from decks ar"
"Great Family Home with 5 bedrooms/4 bths, Open Floor plan with Study, Game Room and Media Room, Enjoy the nice outdoors on the covered patio. NEISD Schools! Must See"
"Finally, a home that checks all your boxes! Immediately upon entering you're greeted with character, an incredible open floor plan, & gorgeous stone accents. This home has it all- the downstairs master bedroom you've been searching for, a separate formal dining room, space for office or formal living, upstairs loft/gameroom, & granite counters in kitchen. A deck out back for relaxing w/great views & don't overlook the she-shed." "Truly flexible floor plan w/a private master suite, a guest room w/full bath & two other bedrooms split w/a Jack & Jill bath! Game room is ideal hobby/craft room (or second office!) near kitchen/utility wing of house. Double doors lead to study. Loads of gorgeous wood laminate flooring plus plantation shutters! Large island kitchen features double ovens, gas range, under-counter lighting, large pantry, undermount sink & fridge! Deck has been extended and a luxurious, less than one year old spa a"
"Beautiful home located in a gated community on Stone Oak Pkwy with quick access to HWY 281. Homes boasts great features, come see today! Submit all offers because the seller is motivated to sell!"